Daniel Ricciardo is on the move to Renault, a transfer confirmed today as Red Bull announced that the Australian seven times Grand Prix winner would be leaving the team and then Renault confirmed that they had signed him. It's a smart move by the Australian as there was no move available to either Mercedes or Ferrari and McLaren is too big a risk given how far back they are with the same engine as Renault and Red Bull. The technical reshuffle at McLaren will take some time to work through and even then it will be a Renault customer engine team. So Ricciardo's options were to stay at Red Bull or be lead driver in a works team at Renault. The seeds of this move were sown in autumn last year when Red Bull signed Max Verstappen onto a big money contract extension to the end of 2020. This warded off attention from Mercedes and Ferrari and locked the Dutchman in. 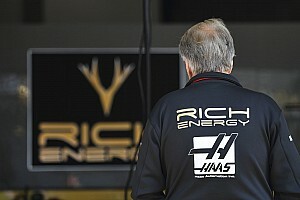 This year the team has confirmed that it will switch to Honda engines for 2019. The gesture towards his team mate gave Ricciardo a pretty clear feeling about where he stood in the thinking of Helmut Marko and the Red Bull management. He's liked and respected as much for his consistency and his joyful personality as for his speed. Ricciardo is one of the fastest drivers in F1, but Red Bull clearly felt that Verstappen has that extra half a tenth of pace as well as combativity that make him the driver to bet the farm on. They wanted to retain Ricciardo, but the premise and the terms were clearly not what Ricciardo wants. He only has one career and he wants to be world champion. 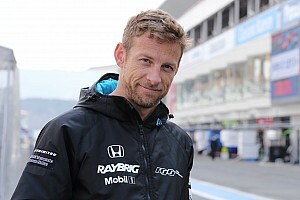 He believes he has seen enough to know that he can be a champion in the right car. Although he and Verstappen get on far better than Hamilton and Rosberg did at Mercedes, all was fine there until they had a car that one of them would be world champion in and then the game changed. It was clear that it would be very difficult for Ricciardo to win a world championship in the same team as Verstappen. Is Renault on a path to glory? Ricciardo has committed himself to Renault for two seasons, which aligns him with the big guns Verstappen, Hamilton and Vettel on contracts expiring at the end of 2020. At that stage there could be a move around and Ricciardo keeps his options open this way. If he keeps developing there could be a move to Ferrari or Mercedes, but equally by then Renault could be at their level of performance. 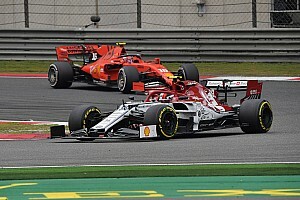 The end of 2020 is also when most of the teams' bilateral agreements with F1 expire, but not Renault; they were the last manufacturer to sign a bilateral agreement with Bernie Ecclestone when he ran F1 and they are committed beyond the 2020 threshold. Renault has been steadily ramping up its performance and investment since coming back to take back the team it sold to Lotus. 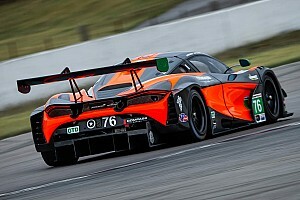 The trajectory looks positive and there is a heap of performance to come from the engine. 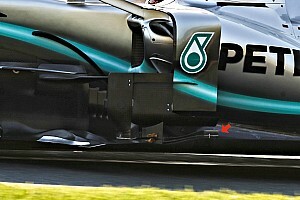 They need to find more from the chassis too over the next two seasons to challenge the front runners. Ricciardo is probably counting on challenging for podiums in 2019 and wins in 2020. He's the ideal driver to take them there as someone who has won seven times and scored almost 30 podiums. Also he's a driver who will take every half chance offered to get a win or a podium. Nico Hulkenberg and Jolyon Palmer has given way to Carlos Sainz and now Daniel Ricciardo for 2019. The team has Hulkenberg under contract and he should go well alongside Ricciardo. The Australian is the model of consistency with only very few 'off days' and will extract the maximum from the car every weekend. Sainz has outperformed Hulkenberg a few times lately and is a contender for Red Bull or McLaren. Red Bull has him on a 'piece of elastic' as team boss Christian Horner puts it, but they also have Pierre Gasly who has shown some very impressive performances this season. The timing is good for him, coming after a weekend in which he did an outstanding job in qualifying and racing to sixth at the Hungaroring for Toro Rosso. The move should also open things up at Toro Rosso, meaning promising young British driver Dan Ticktum could get his chance, once he amasses enough points for an FIA superlicence.